As spiritual beings having a human experience, we are all born with the gift of intuition; it is our birthright. As babies and young children, we are accepting of our intuitive abilities, recognizing our “sixth sense” to be just as common and matter of fact as our five physical senses. It isn’t until we start to grow up and out of our soul, knowing and identifying more with this world and our mind-thinking, that we lose touch with this innate power. For many of us, returning to this state is simply a matter of unlearning these limiting mind thoughts and beliefs around our intuitive abilities. We must come back into our higher self’s knowing that we have access to divine knowing and insight at all times. While only some of us are able to be psychic and intuitively dialed in for others, such as myself, ALL OF US have the potential to do so for ourselves. No one is more connected to you, your higher guidance and spirits than you are! What I have found over the years in cultivating and strengthening my own intuitive abilities, is that I’ve had to constantly address my head/heart conflict. Often times what my head is telling me conflicts with what my heart feels to be true. I used to struggle with which one to listen to and obey. Every time I followed my head, it got me into trouble or made things a lot harder than they needed to be. Whenever I listened to and honored the guidance in my heart and soul, however, I was validated with answers, solutions, and outcomes that unfolded with grace and ease. It doesn’t mean the path was always easy or care-free, but it always resulted in me becoming wiser, stronger, and braver as a result of having followed my heart. My Spirit Guides have taught me that what it really comes down to is getting out of our heads and into our hearts. Our “monkey minds,” as the Buddhist refer to it, create endless thoughts, opinions and judgments that often times are based in fear and come from our egos. This cuts us off from our intuitive guidance and knowing, which is based in truth and love. The heart’s guidance, on the other hand, is simple, direct, and there’s no need for a lot of words. Our feelings are our best guidance, which stem from our heart center. As a Spiritual Medium, I tune into the heart of both my client and the spirits, getting into the “heart of the matter”, thus obtaining a clear read on any person, spirit, or situation. A simple way to put it is this: the mind projects, while the heart directs. With that in mind, make it a point to retrain your brain into letting go of any and all fear-based thinking, surrendering these lower self thoughts to God and your Guides. Then, simply tune into your heart, checking in with your feelings, and paying attention to what these emotions are telling you in the moment. As you honor and follow the guidance in your heart, you will feel empowered and connected to a higher energy directing and acting as a guiding light in your life. You will walk in wholeness and complete alignment with your highest potential and highest guidance, thus creating endless opportunities to live and be your highest and best self! 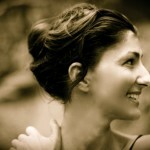 Rebecca Rosen is an internationally renowned best-selling author, spiritual medium, teacher and inspirational speaker. You can follow Rebecca along on her journey of changing peoples lives, on her newest show, The Last Goodbye on LMN. Ah, it’s that big question that enters our mind at some point in life! What’s my purpose here on this planet, why am I here, what am I supposed to do, and where do I find the answers? Never fear, fear will only take you further from your true calling! Many things in life seem daunting and overwhelming. Particularly trying to figure out what it is that were meant to truly do or be. However, part of our task while were here is to seek the answers, explore life and all its many facets. So how do we begin the journey and discover our purpose rather thansulking in the shadows? Here are 5 suggestions for you to connect to your callingand align with your destiny. 1. In stillness we receive. Take some time to become quiet whether it be through meditation, sitting in nature, or simply lying down and breathing in deeply until a feeling of deep calm washes over your entire being. These are the moments when we can truly and deeply connect to what our deepest desires are and to hear ourselves clearly. 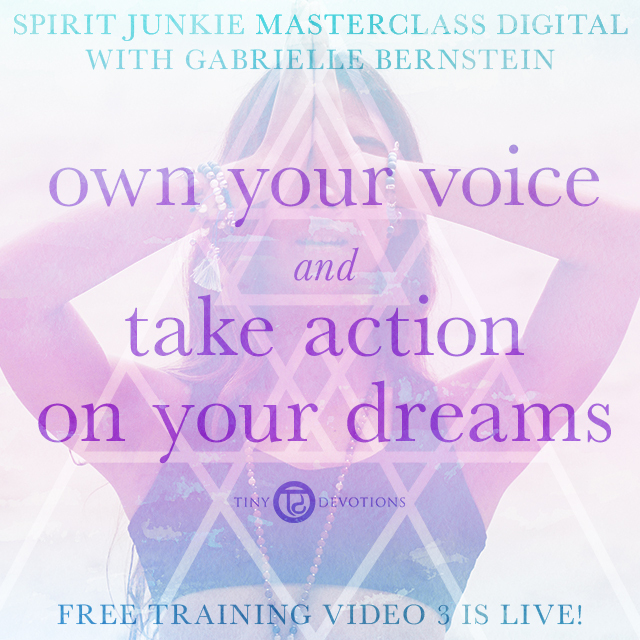 When we remove all the extraneous noise, we can hear our true nature calling us into action! 3. Getting very clear on your vision. Something that makes your heart sing, that you have a deep passion for, and that you truly without a doubt whole heartedly believe in! 4. Know that your right where you need to be for the lessons to come through. Most likely what your experiencing is something that you will be teaching and sharing in the future. Obstacles are meant to teach us, to build us, and to show us how to be more fluid in life. All of these lessons are meant to be lived in order for you to understand them and connect to what your purpose is. 5. Allow yourself to evolve, to be of service without any expectations from anyone, align with your higher self through service and be love! When you know what your life’s work is you’ll have a feeling of alignment with self and others. You will fall completely and madly in love with what you do and this will ripple out into the world! You will know 100% what your purpose is because it will show up as a calling or highest purpose. Everyone of us has a higher purpose or calling in life. And everyone has a beautiful talent or service to share with the world. You will know when the heart sings loudly and all else will make way for your destiny to unfold and be revealed! Enjoy the ride! I have been teaching yoga and guiding students deeper into their own mysteries for the past 17. I run a successful yoga studio where coaching clients on holistic health and nutrition, training and mentoring teachers, and leading worldwide yoga retreats and workshops absolutely tickles my soul. Also an avid meditator, spirit junkie, and lover of hanging out deep in the woods and quietly listening to the sounds around. When I’m not in my studio I can be found strolling in nature, or relaxing with my best friend (hubby), dog, and cat! Oh yeah, and I love really good organic dark chocolate with sea salt, hanging with great friends, and Sunday bloody mary’s….just in case you were wondering! Lets surf life’s waves together! Connect with me! Travel. One could say being a citizen of the world is in my blood. My Father Enrico was an adventurer, my Mother’s parents were serious spiritual seekers. I grew up traveling all over the world with my brother and parents from the time I was an infant. I guess the fact that I love to show other people the beauty of the world shouldn’t surprise anyone since I was born in Ecuador, South America; my Father is from Northern Italy near Modena, and English was my third language. And I learned from my Father, this spirit of Don Quixote, Man of La Mancha, to dream the impossible. I saw with my own eyes, touched and tasted new flavors, experienced new landscapes and as a result I learned about myself. Every time I traveled somewhere I came back different, I was changed and knew that anything was possible. 1. To see with the eyes of my heart by transforming the ecology of mind that happens naturally when you change the routine pattern of daily life. 2. Don’t apologize for being different! 3. Desire to learn more about how big the universe is. You see, I am not fearless, I haven’t climbed Mount Everest or even Mount Rainier or cycled 100 miles in one day (my partner Jacob has though!) but I am willing to try anything. I practice yoga every day to go on an internal adventure, to meet new people and push the boundaries of learning others ideas. Yoga stokes my Rebel Spirit to love my life! My Message: We don’t get to do today over again. This is not a rehearsal. Live your Happiness Fully! Love yourself, love your day, love your life! I try to change people’s lives. With laser like focus I serve as a catalyst for students to figure out their purpose/dharma. I save people time in healing their pain. I wake people up to the power of change – their ability to choose to be happy, in order to love themselves, love their day, love their lives. 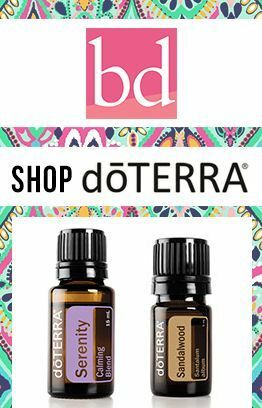 What advice do you have for all the boho yogis out there! oh yeah… and what is your favourite mala and why?! 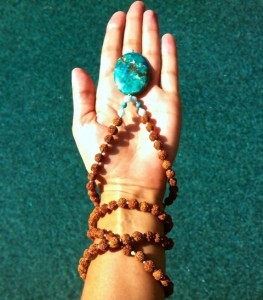 The Marathon Mala, has traveled everywhere with me, especially on the longest days, furthest travels. And I now love the Mind Over Matter Mala. It’s like having one for more casual outfits and one mala for dressing up. Super important to have more than one! Be grateful to everyone who has ever told you No. They are the reason for you to go out and do it yourself. And never deny who you are, what you look like and where you come from. What is always fashionable is authenticity. As Martha Graham says, “your body is a sacred garment.” Be proud of it, be honourable and don’t hold back or hide your intelligence. The way the world will change in this new golden age, will be through more people being empowered by the strength of feminine energy that exists in all of us. Silvia Mordini Founded Alchemy Tours with her partner, Jacob. 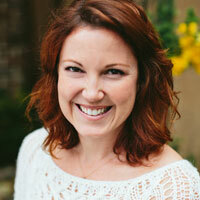 She is a: Writer, Adventure Junkie, Happiness Coach, Yoga Teacher Trainer, and Healer. 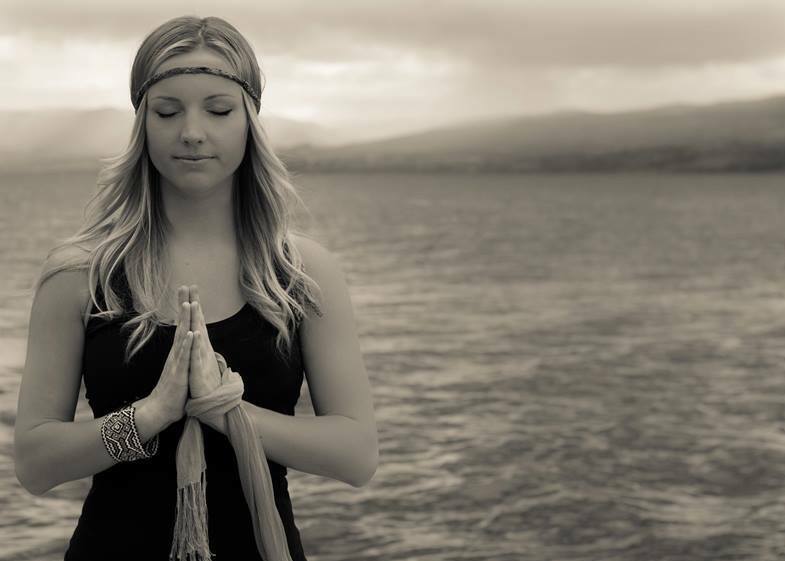 Advice on Intentions from a B.C girl in a Yoga World. We sat down with Juliana Lavell, native of British Columbia, yoga instructor, writer for the Elephant Journal and artist, to chat about what keeps her inspired and how she sets her intentions. Here is what she had to share with our community. The sound of little birds singing in the morning, deep conscious breathing, vibrant colours on my paint brush to name a few. I have a 5 year old daughter who is like a magical absorbent sponge, she looks to me for grounded, strong and soft energy. She is a daily reminder of my own innocence and inspiration to keep coming back to my mat. Knowing it is my inward journey to wholeness that will ultimately shine sparkles of light into the lives around me. That is the essence of my teaching and purpose in life; to continue to unravel the layers of myself, make my way back to my highest sensation of truth and ideally let my offerings come from that space. Whether it be an expression of art, cooking, breathing or teaching a yoga class. Meditation, and embracing all parts of myself, the light and the dark, and settling back into the space where I can be at peace with it all. I host a yoga inspired art workshop called “Finding Your Inner Artist”, I often tell my students to forget about an idea of perfection and go for what resonates, whether its a shape or colour. That is where we find our yoga or union! My intention always roots back to loving kindness towards myself, what the yogis refer to as Ahimsa. Some days that means taking rest, some days that means acknowledging and moving through things I resist, in a pose, a relationship or something I’m procrastinating about. My advice for the boho yogis out there? Let go of the need to seek approval from others. Be the raddest, baddest, truest expression of your authentic self. Seek teachers, friends and hobbies that resonate with you. Take opinions from others as well-intending gestures but integrate into your heart and your life only what resonates with you on a deep level. Your are the pearl making itself beautiful inside your oyster. Stay connected with your inner compass, knowing that sometimes it is the places we resist the most in our selves and in our lives that tend to lead to the spaces of greatest growth; rich fertile ground for yourself to blossom! My favourite Mala right now is the “Serendipity Mala” with adventurine. I love the quote “The best things in life just happen”. Be open to the universe and you will be a magnet for unforeseen opportunities to come your way. We caught up with inspiring world yoga teacher and Oakley brand ambassador, Lacey Calvert, to chat intention setting. Here’s what this California girl had to say about her favourite ways to set intentions. Waking up each morning, our minds are clear, natural and organic. We haven’t yet been bombarded with news or to-do lists, and this is the most influential time to set our daily intention. About 8 months ago, I noticed myself waking up and immediately checking my email, instagram and anything else I could find on my phone. I realized my brain was getting inadequately stimulated early in the morning, and I wasn’t giving myself time to reflect, set goals, and ultimately setting my intention for each beautiful day I was given. Each morning that I get the chance to open my eyes and breathe in the sweet air, I know that this is the day that will completely change the rest of my life. I ask myself, what is one thing today that I want to accomplish? How I can influence others to live their most extraordinary life? And, how can show my community how much I care and appreciate them? Finding the answers to these questions everyday allows us to have a clear and intentional outlook on our thoughts and processes throughout our days. We are setting goals and giving ourselves a purpose during our days. We are allowing clarity to start our day, and giving each moment the ability to shine. I challenge you to set daily intentions. Do your mind a favor and take a few moments each morning. Open your eyes with a purpose, and set your daily intention as your body starts a new day. Dream up the adventures, the freedom, the friendships and the new beginnings that each day can bring us. You have complete control of the days that you live, and you can live a life that you love. Lacey Calvert travels the world teaching yoga to athletes, while enjoying each day she is given. Having being diagnosed with a heart condition at age 17, Lacey found yoga as a beautiful balance between energy and ease. Her passion and enthusiasm shows in her classes, as she challenges your flow with lightheartedness and a smile. Join her yoga journey on instagram @laceycalvert.